The “topping-out” ceremony marked the end of a three-year construction process to build the signature towers that will be the centerpieces of California’s first cable-stayed bridge for vehicular traffic. 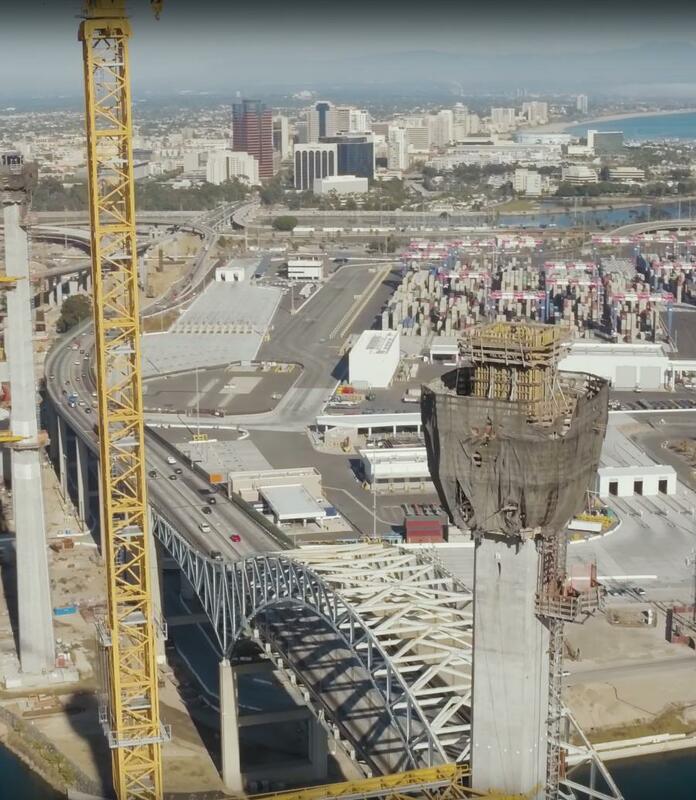 State, local and federal officials were joined by construction crews to celebrate the completion of the two 515-ft.-tall towers for the new bridge under construction at the Port of Long Beach. 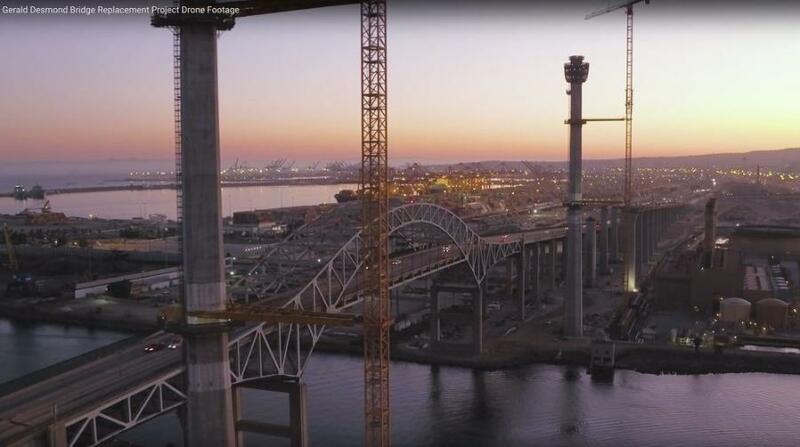 The “topping-out” ceremony marked the end of a three-year construction process to build the signature towers that will be the centerpieces of California's first cable-stayed bridge for vehicular traffic. The ceremony was attended by more than 100 dignitaries. The tallest structures in Long Beach, the two towers on either side of the Port's Back Channel will be main features of the new bridge. Scheduled for completion in 2019, the new bridge will one of the tallest of its kind in the United States. In addition to the towers, also completed are long stretches of the new bridge's westbound lanes. Construction of the eastbound lanes recently began. When fully completed, the new bridge will include six traffic lanes and four emergency shoulders, a higher clearance to accommodate large cargo ships, the bike and pedestrian path with scenic overlooks, and more efficient transition ramps and connectors to improve traffic flow, especially among trucks. The replacement project enables the Gerald Desmond Bridge to remain in use while the new bridge is under construction. The $1.47 billion bridge project is a joint effort of Caltrans and the Port, with additional funding support from the U.S. Department of Transportation and the Los Angeles County Metropolitan Transportation Authority (Metro). Honored in the ceremony, in addition to funding partners, were the following construction trades: Cement Masons Local 500, Electricians IBEW Local 11, Ironworkers Local 416 and 433, Laborers' Local 1309, Operating Engineers Local 12, Southwest Carpenters/Pile Drivers and Teamsters Local 166. For more information, visit www.newgdbridge.com.